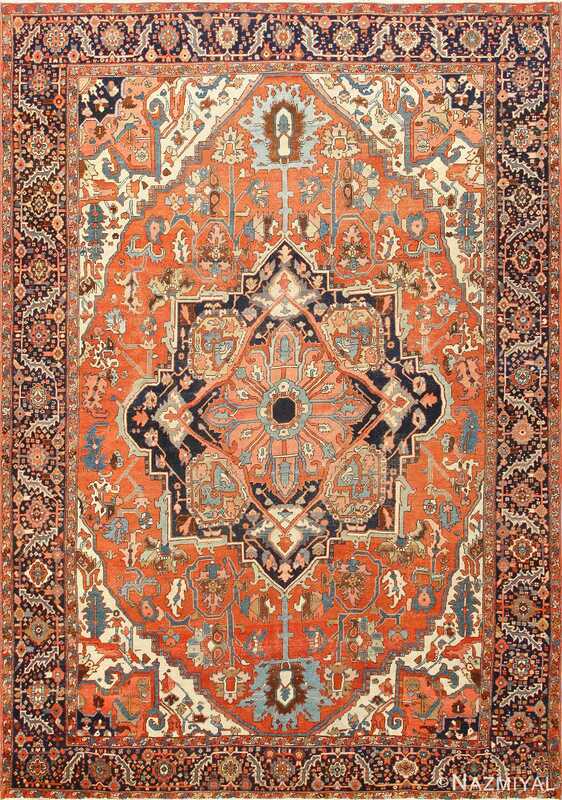 Beautiful and Tribal Antique Medallion Design Persian Bakshaish Rug, Country of Origin / Rug Type: Persian Rug, Circa Date: 1880 – This antique Persian rug displays a stirring tribal pattern, featuring a design of nesting diamonds in eye-catching colors. 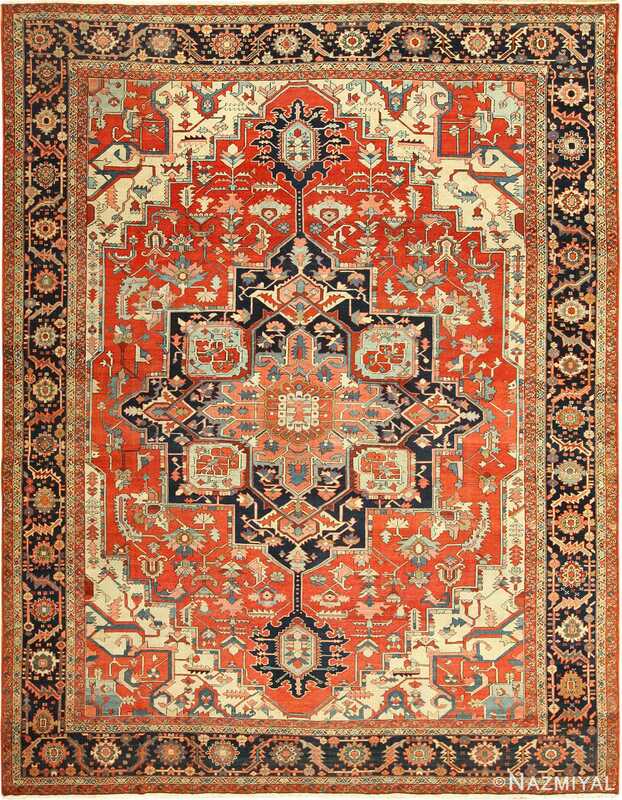 At the heart of this Persian Bakshaish rug, a white diamond medallion encloses red root-like structures, elegant in their geometry. 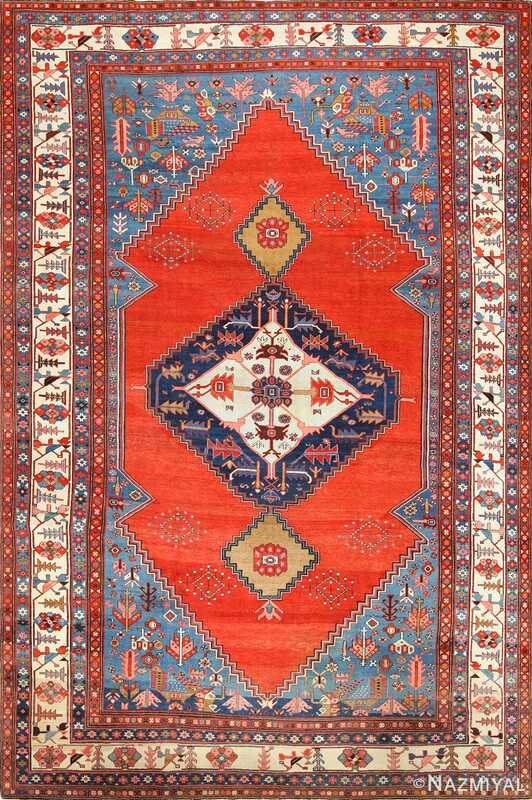 A blue shape with a stair-step outer boundary offsets the light center with its dark counterpoint, which is further contrasted by the vermilion banner unfurling around it. 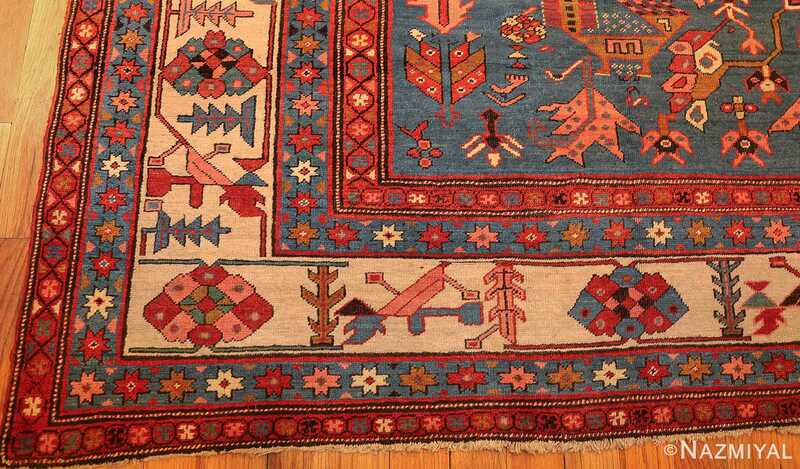 Jagged lines of teeth set at right angles separates the sparsely elaborated figure from the blue background anchoring it. 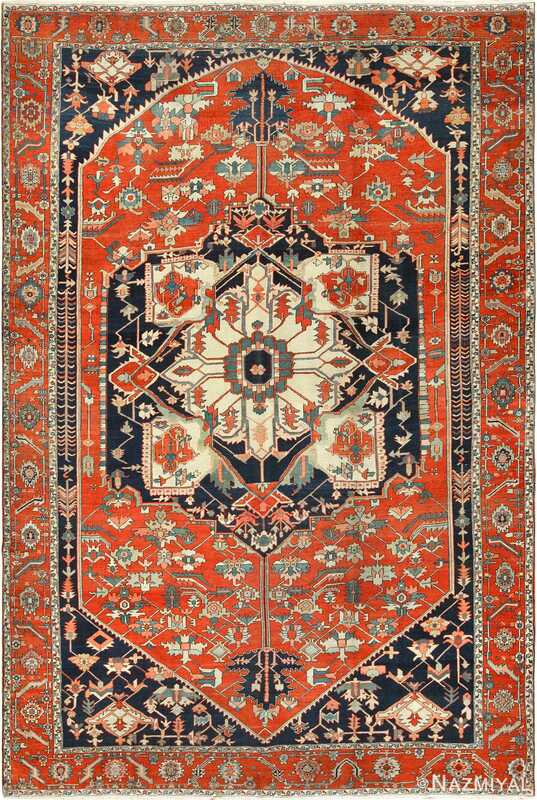 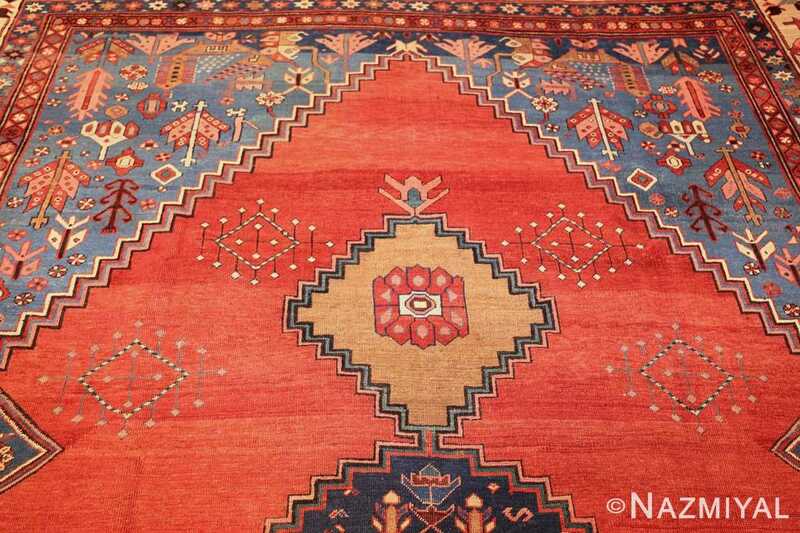 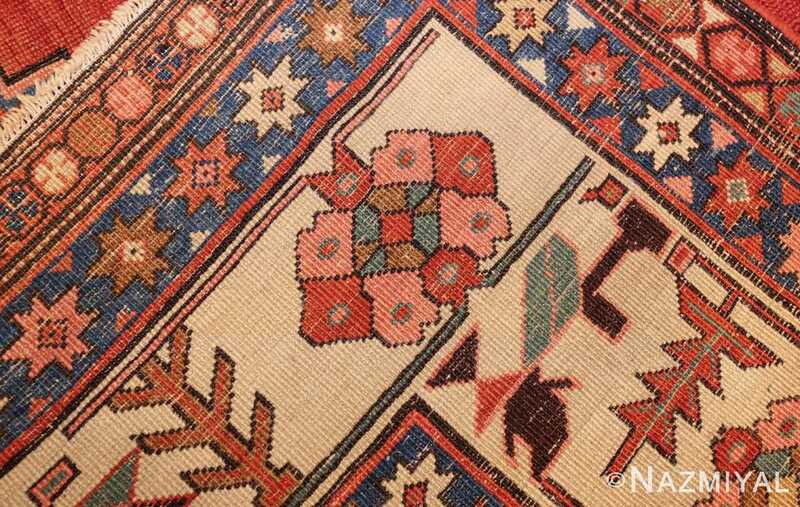 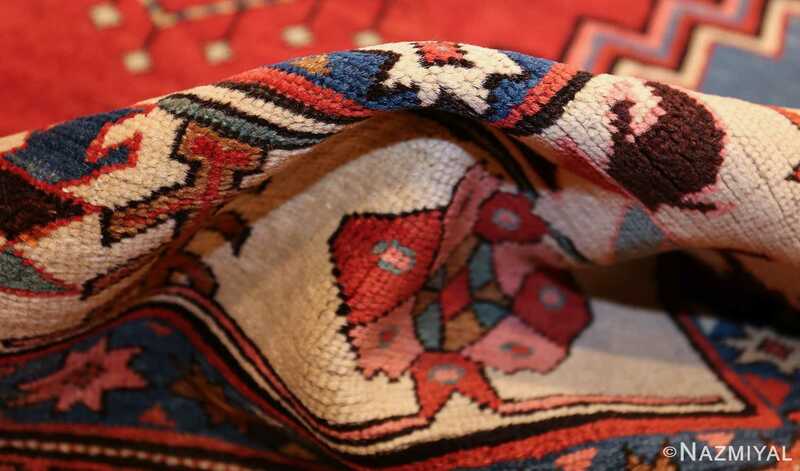 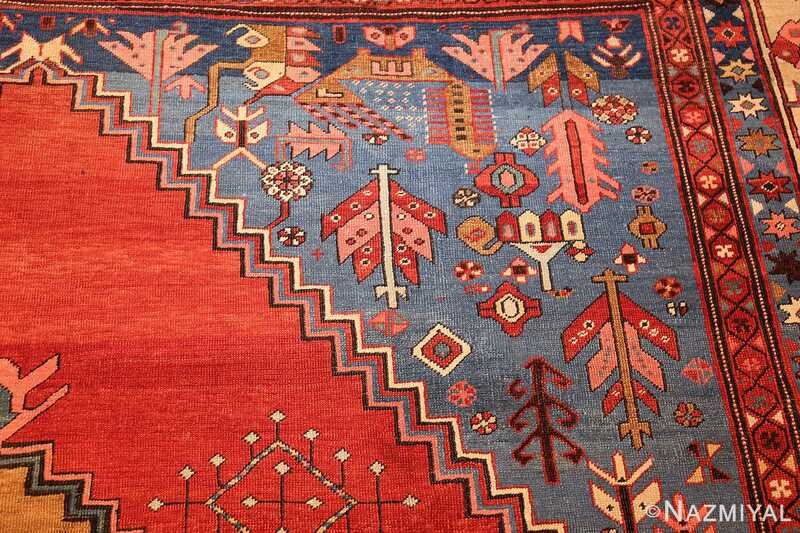 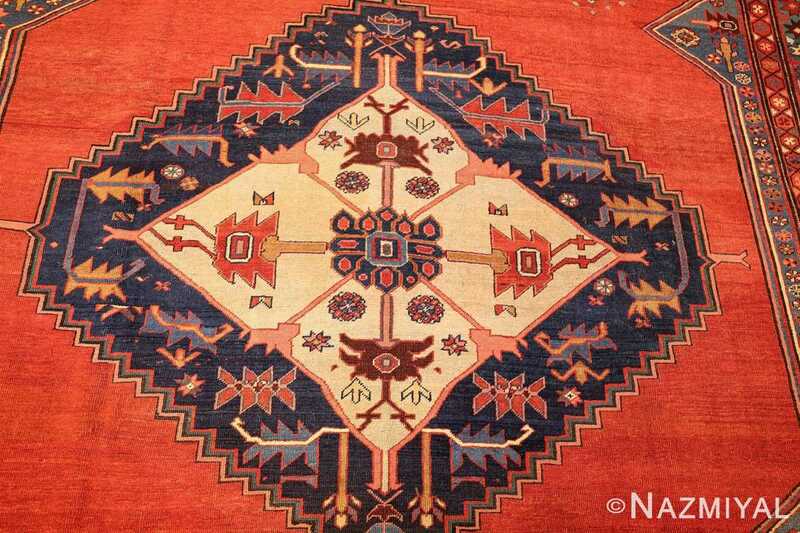 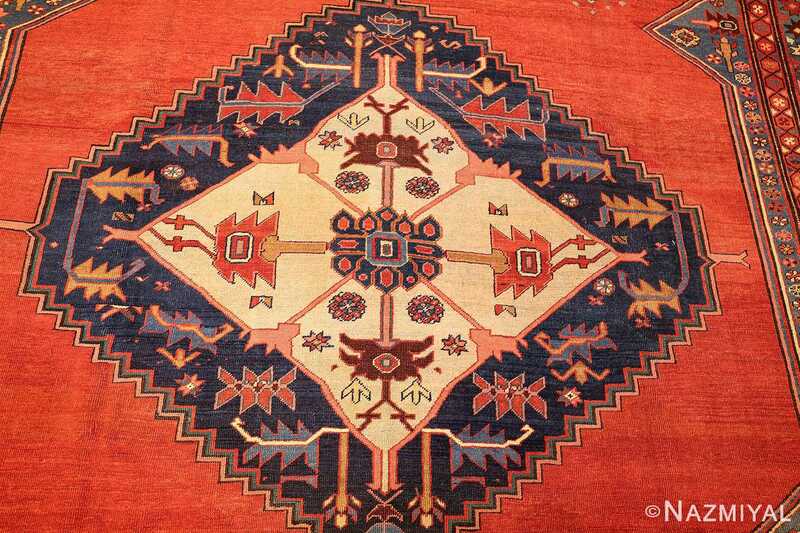 This antique carpet features clusters of light red color, white and orange symbols adorn the corners of the central field, matched visually by the patterning filling the red, white and blue borders.